Interview with selected design students of the 2017 Graduate Scheme. What do you think you have gained from working at I-AM? Working at I-AM has allowed me to gain insight into how a creative agency develops or refreshes a brand, across all the process stages. What are the skills you have gained whilst working at I-AM? I’ve learned new things on every project I’ve worked on. Everyone works slightly differently so I try to pick up tips and skills from other designers along the way. The projects have been pretty varied, but working on digital projects meant learning After Effects and Webflow very quickly. I feel my skills in motion graphics and making websites using CSS have definitely improved since I joined! Having no experience or knowledge working with 3D designers, I have also learned a lot about architectural and interior design terminology, and how they work with graphic designers to conceive brand spaces. What is the best thing about working/joining I-AM? When I first joined I-AM, it felt like it was a really tight-knit group of people. It’s a very welcoming, international environment, which I think makes the studio unique. I like how collaborative the space is, with both 3D and 2D teams working together. At I-AM, we are pretty social and enjoy celebrating milestones and achievements in the company, which is really nice. How would you describe life after graduating (full-time working life)? It’s been nice to have a 9.30am to 6pm day, once i leave work i can enjoy London’s city-life entertainment ! The I-AM office is situated in Shoreditch, which is great for restaurants, trendy pop-up shops and some other quirky places in that area… I used to live south of London when I was a kid so it’s been great rediscovering the city. I really enjoy the balance i have got going on at the moment, designing at I-AM and on my free time I produce and compose music, so being based in London is perfect; especially because it’s such a vibrant place with inspiration everywhere with events, meetups and gigs happening. What is the biggest difference between the work you did at university and the work you have been doing at I-AM? The work has been similar, and so has the process. However, the briefs are much bigger in scope, which translates in the work at I-AM being split into more stages. And overall the work is much more thorough than in university, for instance during research stages we do workshops that are quite common with new clients, and these can last several days. How was the transition from university projects to working on real-time industry project changed/affected you? I was lucky to have studied at Shillington. Their course is modelled on real-life briefs, so I felt prepared for the real world when I graduated. Still, working on real industry projects still feels a bit daunting at the beginning! You know you can do the work, but can second-guess yourself with decisions you make more than you do at college. But at I-AM, if you’re stuck it’s especially easy to ask other designers for help along the way. You soon get an idea of what the studio and clients need from you, so each new project feels a little easier than the last. How involved are you in I-AM’s projects? I’ve worked on quite a range of projects, and at various stages of the brief. I’m often asked to help on presentations for projects that are in the early stages or that are near completion. I’ve been involved with some concept design work for start-ups and established global brands as well so it’s quite varied. In-house jobs are always needed, as well, so I’ve been pretty involved with those since I began. The scope of work I’ve been involved in is quite wide, which is great because I’ve been learning something new with every job I’ve been placed in! What is one of the projects / workshops at I-AM that has had the most impact on you and why? When I started working at I-AM, the studio was nearing the development of its first trend report. I was thrown in the deep end and assigned to develop its design, name and web portal in around a month. I created various presentations for it, and built the website using Webflow which I hadn’t used before. With the tight deadline and the fact that I knew little about CSS, I had to learn quickly. I also had to be strategic, meaning I had to focus on learning specifically the key properties to complete the task efficiently. During the project, I also developed my After Effects skills, which were elementary before I began at I-AM. We’ve now completed two trend reports and I feel more confident than the first time around. It’s been a great project to have under my belt, as it’s allowed me to combine and develop a range of design and technical skills with software as well as practical skills like planning. Whilst I have learnt a lot as part of my role within the 3D team, I have greatly grown from working alongside the 2D team. Having two teams within a studio has allowed me to have a new appreciation for the role each designer plays in the delivery of a project. For instance, the graphics team really opened my eyes to brand presence and its importance within a space or scheme.Though I think the biggest gain of all, is having met an amazing bunch of people who all go above and beyond to help you throughout your tasks. The opportunity to work on a variety of projects has allowed me to gain insight into all stages of the design process. I have familiarized myself with new software packages such as cinema 4D and refined my skills in the Adobe Suite and Vector Works. The people! Everyone at I-AM is particularly approachable and interesting to work with, especially because they all bring different skillsets to the table. I also really appreciate how I-AM values my opinions and ideas, making the transition from being a graduate to working in the industry much easier. Another attractive aspect is the social side of the company, which makes the workspace feel like a part of life rather than just a job. I really admire the respect given to one another in the studio, this translates into everybody teaming up and chipping in to help get the job done – it’s the perfect introduction to working life! Working in the I-AM studio remains relatively relaxed and thankfully isn’t too different from life at university. We have music playing throughtout the day and with the studio being an open space, communicating and discussing ideas is easy. The projects at university were much more conceptual and free in comparison to industry briefs. A real site brings its own set of challenges with its pre-determined guidelines; yet i think these presets can be helpful in directing the project and in making the design process much easier. 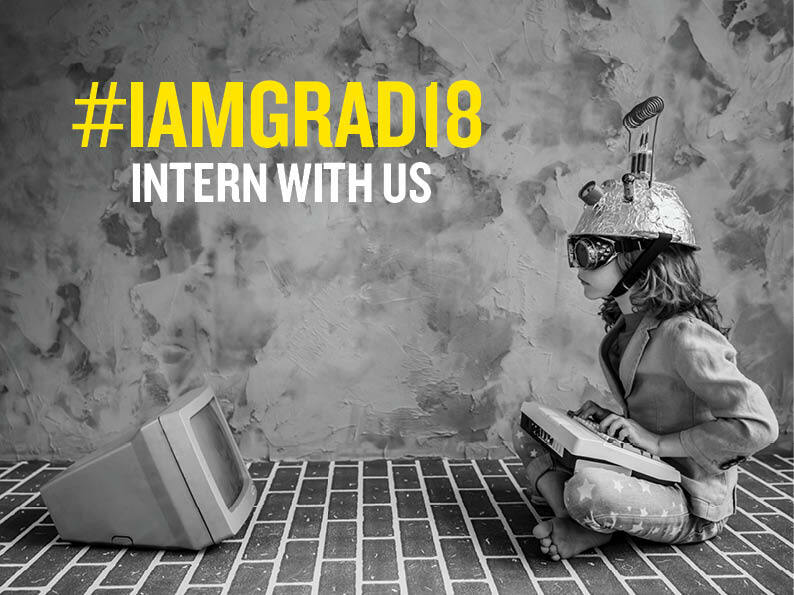 How has the transition from university projects to working on real-time industry assignments changed/affected you? It’s given me a much sharper understanding of what is needed to complete a project. At university, little design details may have been overlooked and might not have needed to be communicated as clearly as they require when you’re working on a real site. What I find great about I-AM is that they involve you straight away. Although it might feel like being thrown in the deep end at first, you genuinely have all the support you need from everyone around you. I’d probably say being put on a project in my first week. This meant that by my second day at I-AM I was already on site meeting with clients. Since then I’ve been able to work on several sites, allowing my industry experience to grow rapidly in all stages of a project.